Miguel may not be fond of zombies, but he hasn't come back empty handed after his date with Resident Evil 2. Inside, you'll find the videos that can testify of what he had to go through to bring you back some high quality footage. Thanks a lot, guys! Specially, Miguel. 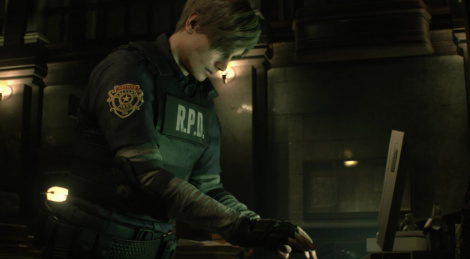 Resident Evil 2 Remake looks excellent and I like the over the shoulder camera, it makes the game much more atmospheric and actually scary. It really fits more than if it was the old style. I hope this sells extremely well, or at least enough for Capcom to greenlight Resident Evil 3 Remake. Either way, thankfully, we don't have to wait long for RE2R. Game looks freaking amazing. I had no idea they are going for realistic looking gore/dismemberment with that one. And the release date is january, yep this will be my first 2019 game purchased. Sdarts, i also hope it'll sell well, if it happens pretty much confirms RE3. Yeah, please, give the same treatment to RE3, I adore that game. This one, of course, will be a day one purchase, it looks amazing, the RE I've always loved with action, puzzles and atmosphere. I need this in my veins right now! Thanks for sharing this videos, Gamersyde! Code Veronica also better be remade with this atmosphere but RE3, to me, is already next, it's a given. Since RE2 will be the fastest selling RE in history. RE7 renewed people's trust in the series to bring back quality horror. E3's reactions sealed that. there's something about the visuals that make me think it might me. every texture across the board is low res. much like it was in RE7. now, i can't accept that the engine isn't capable of displaying high res textures. so i can only assume assets are being reduced so performance can be maintained and assets shared across standard and VR modes? either that or the demo they've been showing is super unfinished and they haven't put in the high res assets yet? I don't really know how texturing works but it could also be a to save memory to increase the texture variety. A possibility, but other current gen engines don't seem to suffer the same thing. So maybe it is just a poor engine where textures are concerned. It's almost as if the games assets were never created with close OTS camera in mind. The engine is more suited to high res normals than RBG textures, which in turn plays off of lighting, which makes sense given the game it was named for. They scan most stuff using photogrammetry, so that probably accounts for that low res digitised look. I noticed it on cloths and such, but then the detail on the faces and the gore are sharp. It's not a massive step up, if at all, from RE7 either, so a VR mode could very well be a possibility. The only thing I have a doubt about that is because there doesn't seem to be a fixed FPS camera yet that uses the 3rd person model. Hopefully it is something they have planned, but if it was then Sony would have announced it. Having this a timed VR exclusive for PSVR would have been massive.